At Crookston Photography we try to provide a price structure that will meet the needs of anyone wanting quality photography. Our Portrait and Senior sessions begin at just $49 and offer a wide range of options. There are several economical print packages available as well as custom collections. Please contact us for complete pricing information for people as well as pets. In addition to our standard portrait sessions, Crookston Photography schedules our popular Mini-Sessions twice each year, at Easter and Christmas. 15-minute Mini-Sessions are quick and easy and always offered at a great low price that includes prints. These sessions are great for kids- you know how fast they grow! Minis are a great way to preserve memories of all the stages of their childhood. 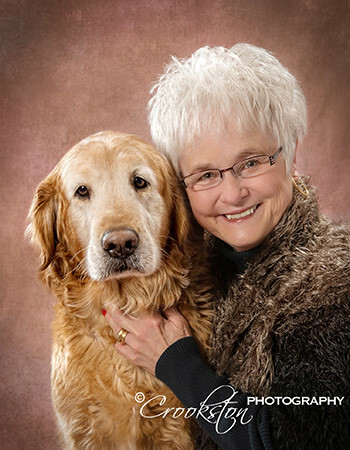 If you are a pet parent, Crookston Photography partners with Habit for Hounds and Victim Services of Johnstown & Somerset to offer pet photography fund raising events. Over the past 6 years we have helped these two worthy organizations raise much needed funds for both animals and humans alike. If you would like to be notified in advance of coming events, simply send us an email request to be added to our Advance Notice list.